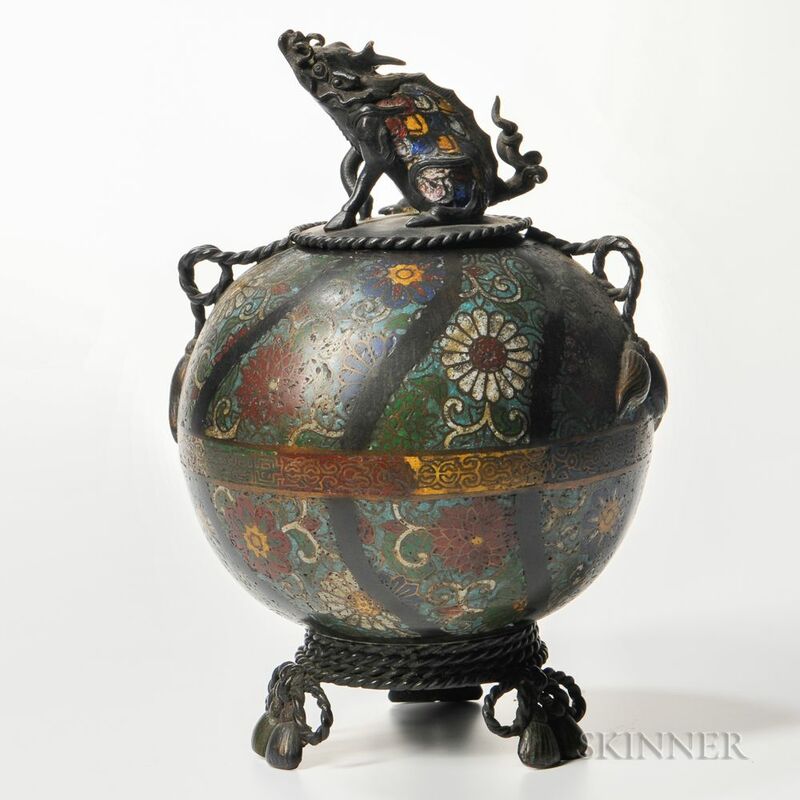 Cloisonne Tripod Covered Censer, Japan, Meiji period, globular form with two loops at shoulder, on three feet in the shape of tasseled ribbons, decorated with floral and foliate scrolls, a seated qilin on the cover, ht. 12 1/4 in. heavy surface dirt, minor dents, loss of enamels.